Can Cleaning the Windows Sell Your Home? 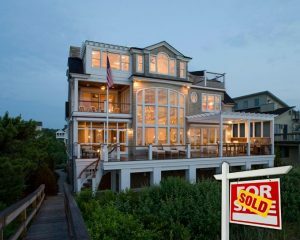 Selling a home can be a daunting task; You know what your home is worth but how in the world do you convince someone else ? You must sell your home by making it stand out, by making it better the competition. You can do this in many different ways some fresh paint, new carpet, new appliances, or even a new kitchen. All of these could potentially cause your house to get the attention of house hunter who will be forced to choose a home based on very small differences. One very Powerful way to Upgrade the Visual Appeal of your home is to Clean the Windows. Clean windows naturally draw the eyes to the home as they sparkle and shine in the sun. When touring the home buyers will clearly be able to see the beautiful view they will wake up to each morning instead of seeing all the dirt and grime they will need to clean. Cleanliness shows your buyers that you are a top notch home owner who took excellent care of their future home. How do I know ? Because I've seen this technique work first hand! In 2014, I sold my home in 3 Days, yes, only 3 days. Here is My trick, in addition to proper pricing and home presentation (cleaning, carpet, paint, upgrades..etc), Have the windows professionally cleaned but make sure not to reinstall the screens. Store them in the garage until after the sale. This doubles the amount of sparkle and glare your potential buyers will see… Think about it most homes do not have the windows cleaned so they don't sparkle at all from the road; others have them cleaned but then cover half of the shine with screens. If you want your house to stand out, Don't cover up the sparkle, leave the screens in the garage until after its sold! 1. Most people don't clean their windows at all ; and if they do they use a spray bottle and paper towels. Windows just won't shine like they will if cleaned properly.